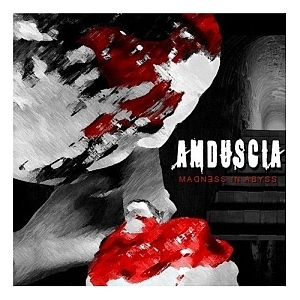 AMDUSCIA just as well-known HOCICO originate from Mexico and had their first-time meeting with the public in 2003 with the debut ‘Melodies for the Devil’ receiving good critics, followed by the ‘Dead Or Alive’ EP in 2005 and the next album ‘From Abuse To Apostasy’ in 2006. The third album had its release last Friday and is called ‘Madness in Abyss’. …and what am I to say about the new album. Well, first of all, every fan can have a sigh of relief, because nothing has changed. Still the music is strictly club-oriented and combined with the spherical trance leads the band is known for by now and the heavily distorted vocals with lyrics both in English and Spanish. While I was listening to the first CD (of the Ltd. Edition) I had serious problems, distinguishing the first few tracks from each other. And as I found out later there are more tracks with the same lack of diversity. Sometimes they add a few more melodies here and there but the basic recipe is always the same. Actually the whole CD is a DJ set. Not necessarily bad, but in this case just boring and overly predictable. So I was all the more surprised when I put the second CD into my player which is advertised with showing the trio from a different musical side and I tend to agree with that for once. Much more diversity in the rhythmical arrangements, more elaborate sound design and sometimes the density of the atmosphere created in such tracks like ‘A Pleasure without End’ or the last untitled track is stunning. Why would a band which is capable of creating such tracks, which are still not groundbreaking but miles better than the material on the regular CD, rather stick to such dance-floor oriented bulk? Honestly it’s totally beyond me. ‘Madness in Abyss’ will surely please the loyal fans because they’ll get their well-known sound in an updated version regarding the production quality. I’m in favour of releasing the second CD as a regular release because that’s the much better one in my opinion, but who am I?